Singing has been proven to make you happier and healthier and joining a choir is a good way to make friends. 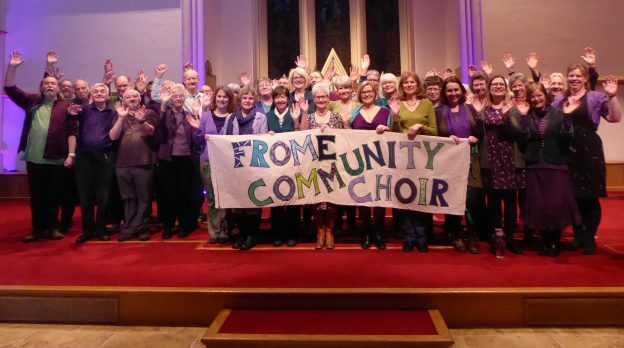 Try a taster session with Frome Community Choir, anyone aged over 12 is welcome, no audition! 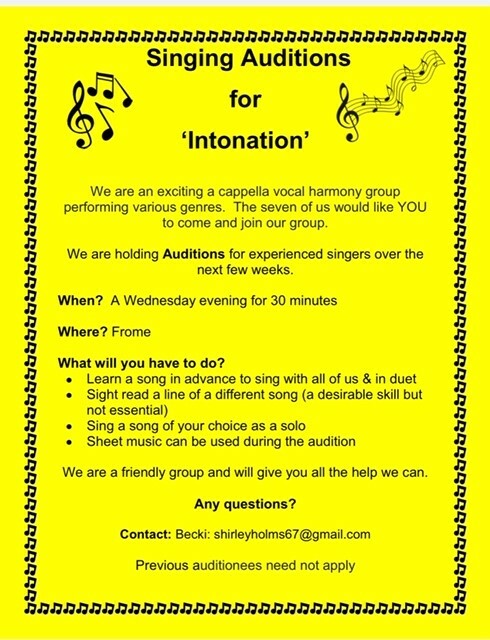 We number about 50 people and we sing pop, folk, world music and original pieces. No need to read music. Our main performance is in March and we also sing at various local events.